Welcome to the final wind down to my full kitchen reveal! You’ve seen my kitchen island (and how I built the butcher block on top of it) and my kitchen sink base that I also built. 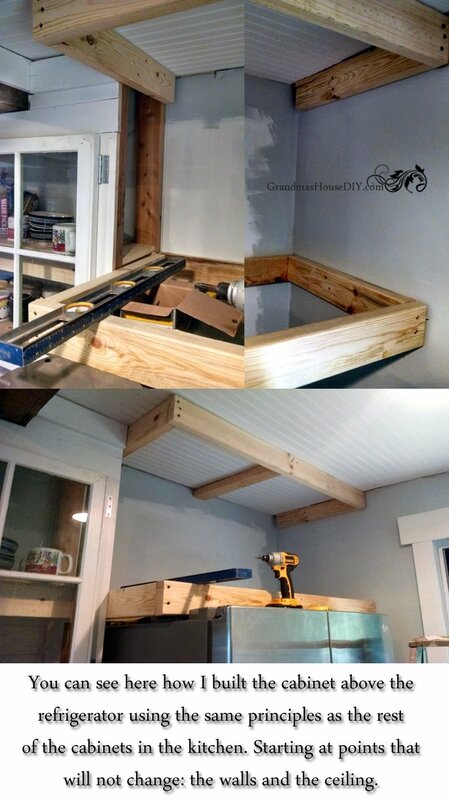 Today we’ll be moving on to the big post about how to build your own kitchen cabinets. The kitchen cabinets turned into my own little project, it was something I was equally stressed and terrified about and, don’t get me wrong, they are NOT perfect, but I’m very happy with them. Doing so much of the work here alone actually saved me on material in some places. I couldn’t build actual cabinet “box” because I wouldn’t be able to lift them into place myself. So, I built all of my “cabinets” in place. Just about everyone in my life questioned my choice to build my kitchen cabinets when I could certainly find decent cabinets used that I could modify to work. I would normally have leaned that way (we all know I’m a refinisher and not a builder!) but I wholly expected that trying to get premade kitchen cabinets to work on my very crooked walls and in my specific kitchen would have been far more trouble. On top of all of that, I had my heart set on using three old windows for cabinet doors. In my mind there wasn’t any choice and it was what I had my stubbornness set on and Lord help anyone who would try and stop me when that happens. Now that you’ve got an idea of what the rest of the kitchen had to go through to get to its “finished” state, here is a closer look on exactly how I built each cabinet. With the kitchen basically done the over the refrigerator cabinet (and pantry – I’ll tell you about that in a later post) was just screaming to be built. Just look at how empty that spot is! So, after work one day, I told Diesel (the dog in the picture – doesn’t he just look so excited?) that it was time to get to work! No, the bottom of the cabinet is NOT sitting on top of the refrigerator, the angle of the picture makes it look like that a little bit but I built the bottom frame a good two inches above the top of the refrigerator. Just like with the rest of the kitchen cabinets I started on the outside and worked my way in one board at a time. I measured and secured a board across the back and cut two more identical boards for across the front. From there I secured the outside boards (four of them) and then secured the two front boards that were identical to the board across the back. Everything I leveled as I went. This turned into a four foot wide by two foot deep cabinet so I didn’t mess around when it came to getting it WELL SECURED. I used 3 inch long deck screws liberally. The board in the center across the top of the cabinet is screwed directly up into floor joists. Now I connected the top and bottom frames together with boards running vertically across the front in three places on the cabinet. These I cut the same length and forced the top and bottom frames to match. If this had not been a 100 year old house with nothing level there would not have been any “forcing” but nothing here is straight so I improvise and work with how things are. I covered the entire cabinet with 1x4s (the same boards I used on all of my trim etc) and you can see the end where I used leftover bead board that I put on all of my ceilings. I painted it with two coats of my flat white trim and ceiling paint and then put two coats of a semi gloss poly acrylic. From there I took some measurements and, after work the next day, stopped at my local lumber yard and had them cut my doors from a piece of smooth 3/4″ plywood. All of my painting had to be done inside because my temperatures are now dropping below freezing at night now so I just said “forget it” covered the floor in a bunch of towels and got to work in my entryway. I don’t know if your dog immediately has to sit or lie down on anything you put on the floor but Diesel is entirely that way so, I laid down extra towels for him so he could “help”. The doors got the same white paint and poly treatment as all the rest of the cabinets. Then, my shiny knobs and hinges! It is absolutely wonderful to have the cabinets in the kitchen FINALLY all complete! Wow! I’m so impressed! I’m hitting the both boxes at the bottom of the comment box and crossing my fingers that it will sign me up to get your blog posts delivered to my email…..for some reason, only a quarter of the right hand, information side of your page shows up in the browser. Any who…..the hubs and I are embarking upon a remodeling journey of his parent’s home, circa 1950. I’m looking forward to referencing your fabulous remodel for idea, tips and inspiration. Might take us a liiiiittle longer than y’all….. the hubs and I have about 3 decades on you guys…..but we’ll get ‘er done nonetheless! Y’all did a praise worthy job on your grandparent’s place. I’m sure they would be proud! Thanks in advance. Needless to say, beautiful job gal! Love the rolling pantry too. Hello! The 2x4s on the entire “box” I put up so their widest edge was facing out – so the 1×4 covered them exactly (because they’re the same 3 1/2″ width). Does that make sense? Feel free to email me! I can send more detailed pictures etc. [email protected] thanks! Wow, that is really impressive that you built your cabinets. And thanks for sharing how you did it. I don’t think I’m confident enough to try building my own, but I totally understand about not wanting anyone around when you’re stressed. I’m the same. 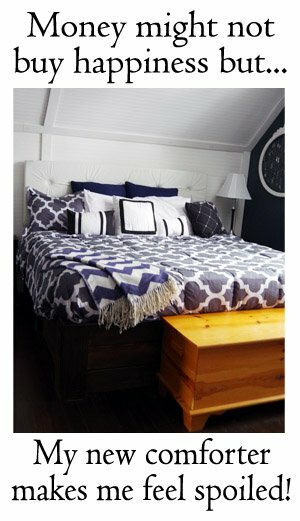 I’m going to start following your blog because you’re DIY projects inspire me! Thank you! I was so nervous going into it but, so far at least, we’re really happy with them! 🙂 Thanks again for stopping by! Wow, what an undertaking! You did a great job! Great coverage in this post! Thanks for sharing with the Thursday Blog Hop…makes me want to tackle my kitchen! Thank you! It was a big job but over a year later and we’re still happy with them! OH MY GOODNESS you two are not only ambitious … you are talented! Mad skills indeed! This looks great! Very impressive! I hope you have an amazing day! Your kitchen is exactly like ours! Our house is just 20 years old but we are in need of a remodel too. We have very little storage and cabinet space. 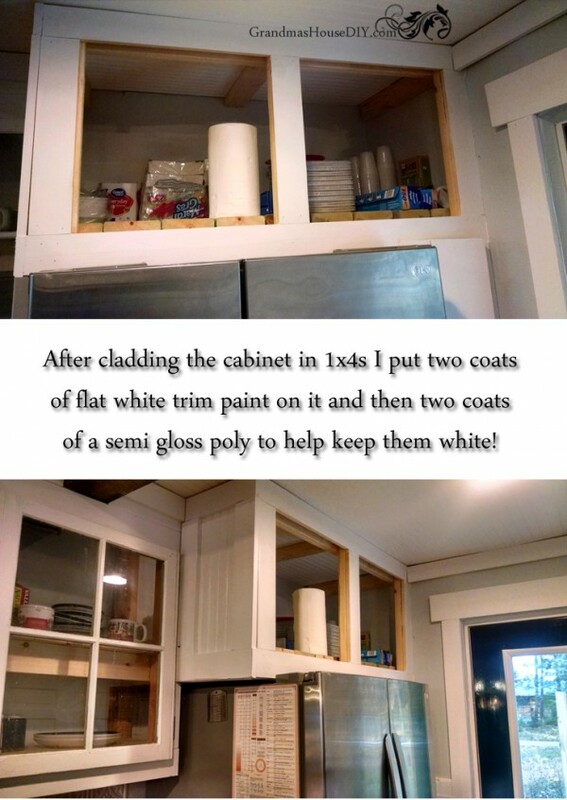 My husband wants to build our new cabinets , and go all the way to the ceiling for more storage, so I’m very glad I came across your blog! How is everything holding up? They’re holding up really well however, I learned the hard way with the 1x4s on the fronts of the cabinets to absolutely ALWAYS use at leach 2 inch long brad nails! I had a couple of pieces of trim start popping off when it got really dry in the house this winter *shaking my head*. Other then that though the main cabinet boxes etc look exactly like the day I built them and, so far, we’re very happy with them. A note: I can’t believe how much storage I have! A lot of it is vertical storage so I keep a stool around but I would encourage anyone to get or build their cabinets all the way to the ceiling – its amazing just how much room they offer! holy WOW – you are seriously a ROCK STAR!!! I’m so impressed with your handiwork and positive attitude. 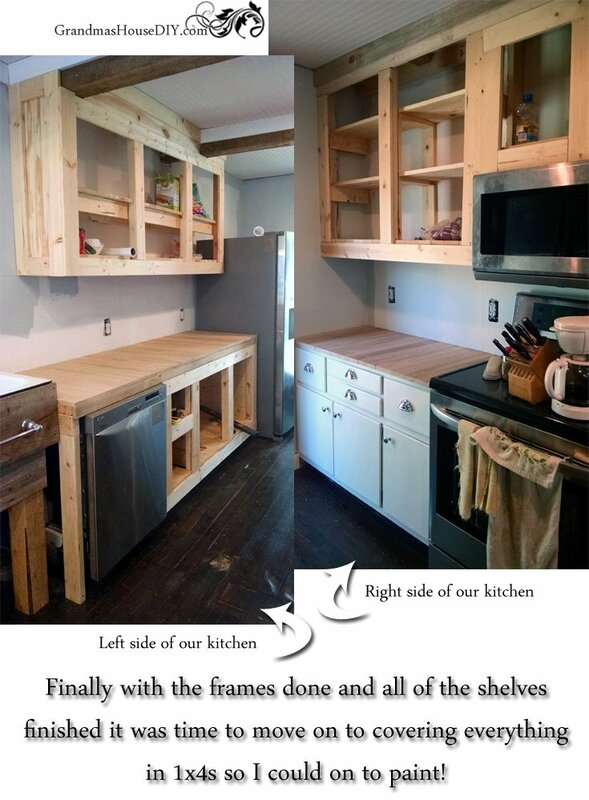 You did a beautiful job on the cabinets and I love that they are 100% custom and built with love. BTW, my hubby would totally take the same photo of me working if I asked, MEN lol – great job! Oh my Gosh Christine Thank you SOOOO much!! This is so impressive…great job!! Thanks for sharing…hope to see you next week at Welcome Home Wednesdays! Ohmygoodness! 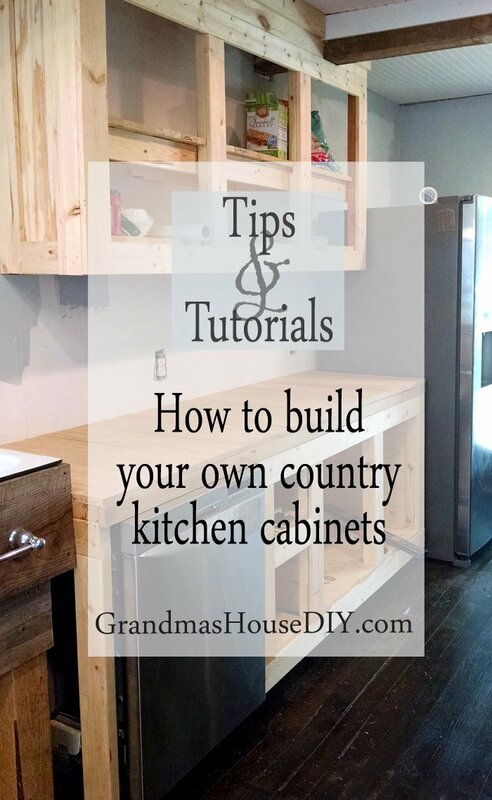 I just had to come over from the link party to see a post about how to build your own kitchen cabinets! You are amazing, and I can’t wait to read more of your blog. You guys did an amazing job, nice to have a handy helper too!! I would never tackle a whole job like that, but I did tear out a kitchen and prepare for new cabinets to be installed, new sink, plumbing, and appliances and flooring, had it all coordinated with the workers and was done in 1 week. That was the way I roll. Thank you for sharing on #OMHGWW and for sharing my party banners below!! I dream of being able to roll like that someday but I’m such a control freak that I have to admit that doing it all myself might be the only way I’m capable of rolling lmao! Thank you for coming by! wow – you make it look so easy!! Thanks for sharing on the Pleasures of the NW’s DIY party! Tarahlynn, I am so impressed. 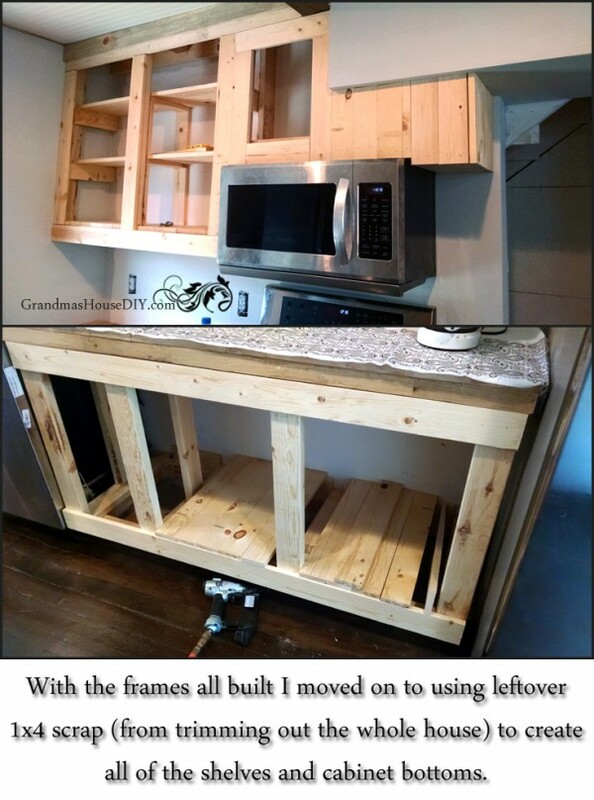 I’ve never heard of anyone building their own kitchen cabinets from scratch. Thank you for sharing at Your Inspired Designs. Wow! A lot of work went into this. Thanks so much for sharing with us at Merry Monday. Wow! You are amazing! Such a detailed post and of course the action shots made me smile. Thank you so much for joining the gathering at Thoughts of Home on Thursday. Wow! Your kitchen looks beautiful! Your amazing dedication and hard work has definitely paid off. Thanks for sharing with us at Merry Monday! I super impressed and intimidated. You’ve wowed me. Thanks for sharing at the #ThisIsHowWeRoll Link Party. Thank you Susan 🙂 It was a lot of work – I’m so relieved they turned out ok! Wow never ever thought of build cabinets myself. But you all did a great job they look awesome & look sturdy! Love the look! Happy to visit from #happynowlinkup! Dara, absolutely! I just used the same concept and built a little grill station out on my deck (project for the blog next week). Thanks for coming by! 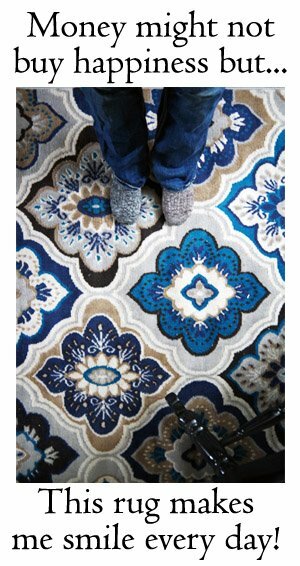 What a great big project…but it turned out beautiful!! Great Job!! Thanks for sharing on My 2 Favorite Things on Thursday! Pinned! Wow that is impressive and it all turned out so cute! Well done and thanks for sharing all your great tips at the Happy Now link-up! Wow just wow! Looking forward to the next installment and thanks for linking up with us again at Celebrate Your Story. Wow, these look amazing! I wouldn’t even know where to begin on a project like this! You make it look very easy, good job! Hi Tarah. How lovely to meet you. Thank you so much for linking up to Thriving on Thursdays last week. I’ve been thinking about giving my kitchen a makeover and I would never have thought to make my own cabinets. My husband is pretty clever. I’ll get him onto it! I’m featuring your post at tomorrow’s party. Hope to see you again. Oh Anne thank you so much!! Love the ideas to build cabinets for kitchen at home. It can help one to save money. You Rock! These look amazing and in awe. It’s great to see this and we loved that you shared it at Dishing it and Digging it link party. We love having you. Wow, I am so impressed! You are a hands on woman…you go! I never would have tried this, but I give huge kudos. Thanks again for sharing your creative spirit and venture at DI&DI. Thank you Linda! 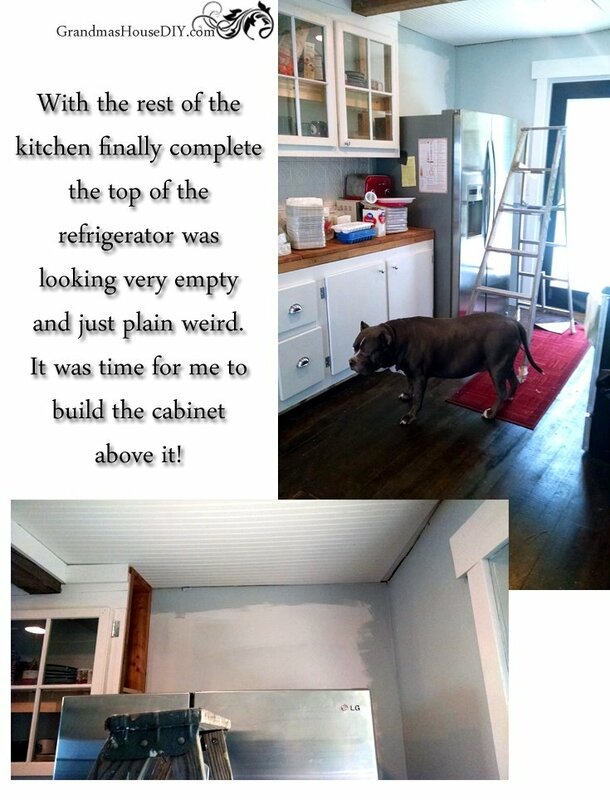 I was terrified and SO relieved that they turned out ok.
That’s very cool Carla, I knew we weren’t alone in building those cabinets – store bought cabinets are just SO ridiculously expensive! Thanks! This is such a big project! Amazing. I want to reface mine with new cabinet doors but, I can’t get my Mr. to commit. I wanted partial glass. I think we’ll just be sanding and painting our existing cabinets. I love how yours are turning out. Congrats! Pinned & shared. Thanks for joining the #InspriationSpotlight party @DearCreatives. Thanks Theresa and good luck with your project! Kendall, we’re so far really happy with our cabinets! They’re so sturdy and because we built them ourselves, they were tailored to us too! 🙂 Thanks for coming by! 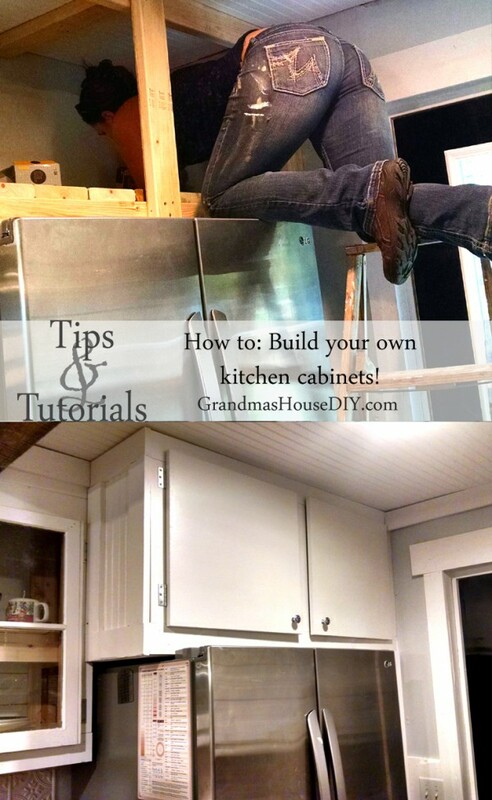 Wow for building your own cabinets! I refer all building projects to my husband. As in “Honey, I want this.” Then he is supposed to figure out how to make it happen.Thanks for sharing on Family Joy Blog Link-up. Please come back and join us again! Remember to leave your host a comment to increase the chance of being featured. Beautiful kitchen. Thanks for sharing with us at Family Joy Blog Link Up Party this week. You are amazing with all of the stuff you’ve done yourself to that house! Loving every update! Wow! Very impressive! I don’t know too many ladies who would take on a big project like this. 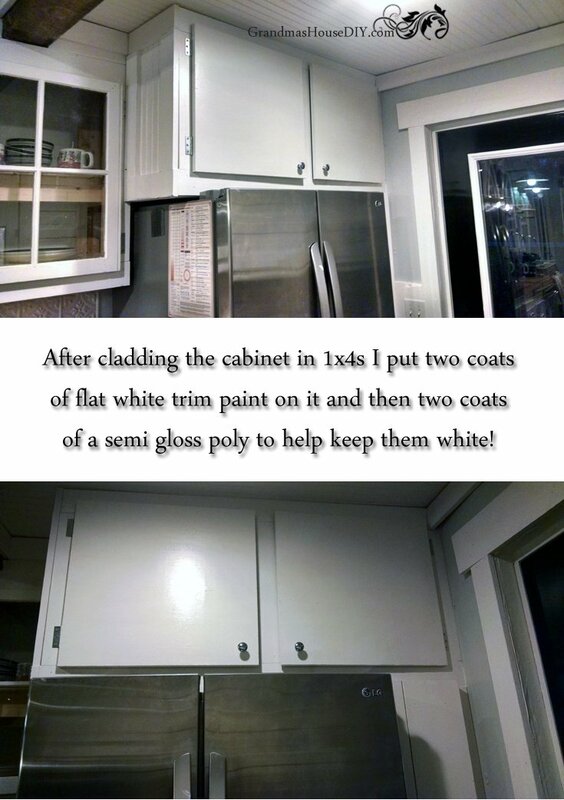 Amazing job and I love white cabinets! Thanks for sharing with us. I am a bit overwhelmed at the thought of refinishing my cabinets and then look at you. Very well done, you go girl. 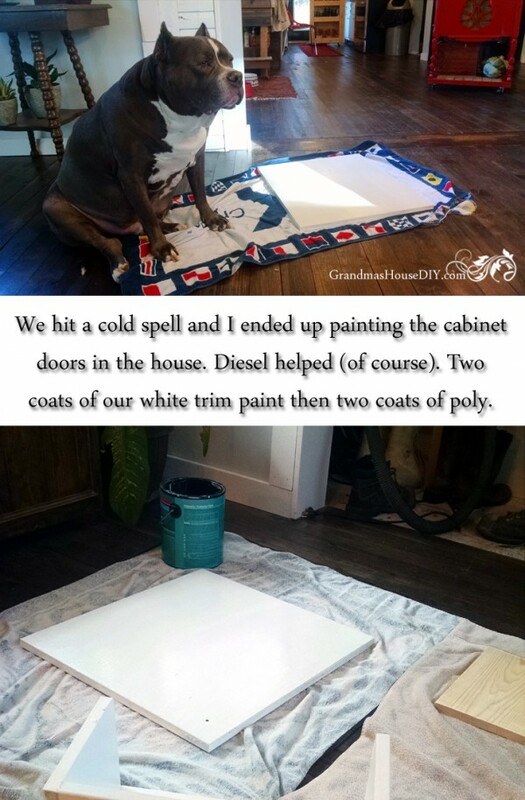 I love your blog one DIY project at a time. Hey Leanna! I helped my mom refinish all of her cabinets and I tell ya what, it was a lot of work! It took us two full days and then some but it was so totally worth it! So impressed with you kitchen I wish I had half your talent, to be honest !! You are ambitious! The cabinets look great. Thanks for sharing with us at My Busy Beehives #beeparty. Oh my gosh, those just came out awesome! I absolutely love that you give such detail in how you did it as well. Maybe one day I can convince my significant other to help me do something like this to make over our kitchen! This project totally scared me SO much, I am not a wood worker lol But they were actually easier to build then I thought they would be and, so far at least, we’re still really happy with them! And, goodness knows, they were far less expensive then even the cheapest stock cabinets! This is amazing!! WOW! I’m so impressed. I cannot wait to have my own house again to do all the things I WANT to do. What a project – and I love the results! 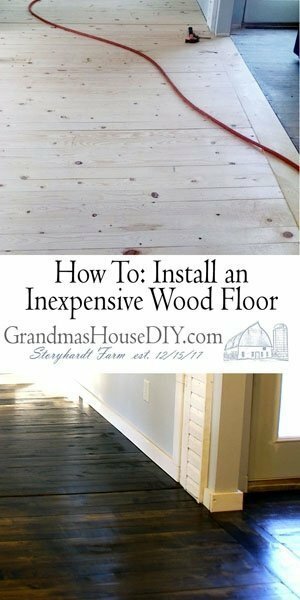 Thank you for sharing this excellent post – including the great step by step instructions. Your cabinets look fantastic. Scheduled to share on Twitter and Pinterest. Thank you for being a part of Hearth and Soul. Hope to see you again this week! Wow, you are amazing! That picture of you in the cabinet on top of the fridge almost made my heart stop! That’s impressive, and a bit terrifying! We’ve decided to build our own cabinets too, but we’re getting a kit that includes everything that we just assemble. Way easier, haha! I am so impressed by your handiwork! Thank you so much Emma, good luck on your project! Building our cabinets absolutely terrified me! This is truly inspirational. You have done a great job and thank you so much for sharing as it motivates us. Oh thank you so much Fran! It was a lot of work but it surprised me that once I dove in it was more time consuming then scary! They are definitely sturdy! Thanks for coming by Fiona! It sure was a lot of work, but you now have amazing cabinets just the way you want them. Great job! Thank you for sharing your tips at The Really Crafty Link Party! I love when people show us that you can DIY virtually anything. Pinned! Thank you so much for coming by, reading and commenting! Hi Tarah, you have done yourself proud there! I hate being helped too, it stresses me out more. I’m best being left to figure things out for myself. Buying premade cabinets may have been easier if you didn’t have the wonky walls to consider, but that wouldn’t have been so rewarding. Hi Irene! Well, my main doors (the ones I made not the windows) are just 1/2″ plywood that I added hardware to and painted. I don’t see why that couldn’t work for you, it wouldn’t cost much and would definitely improve the look for awhile!